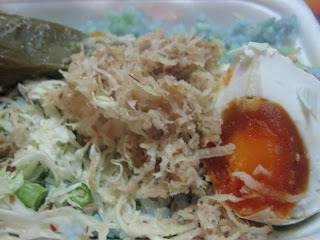 After so many years of visiting the food stalls during Puasa months, this is the first time I came across Nasi Kerabu. We went to Indah Permai stalls with SIL yesterday afternoon, as it was only about 3pm, most of the stalls are still not in business yet but we still managed to buy more than a handful of food, among them are soto, porridge, nasi ayam, jellies which are very common food found in any buka puasa stalls. 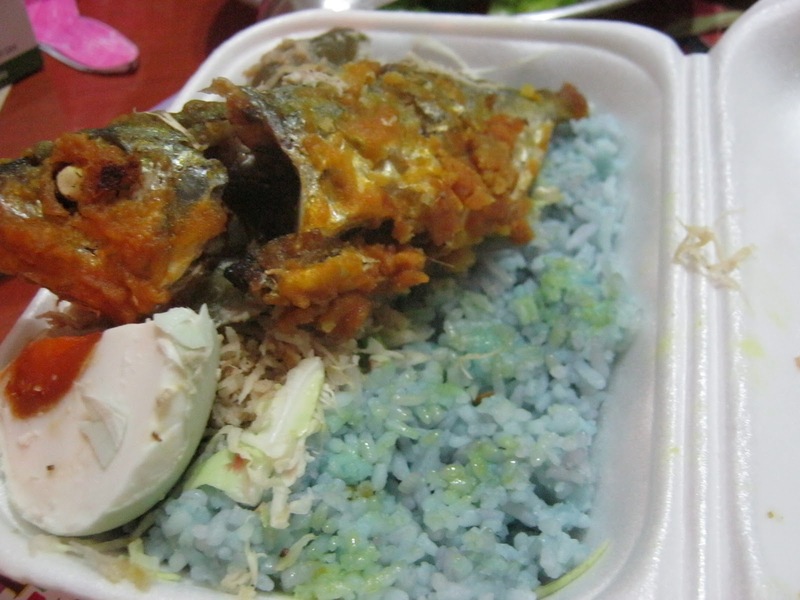 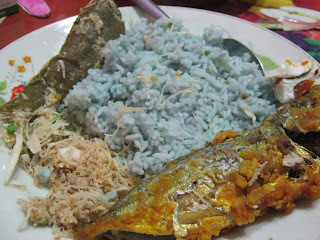 But it is the first time I see the Nasi Kerabu, the rice is blue in colour. 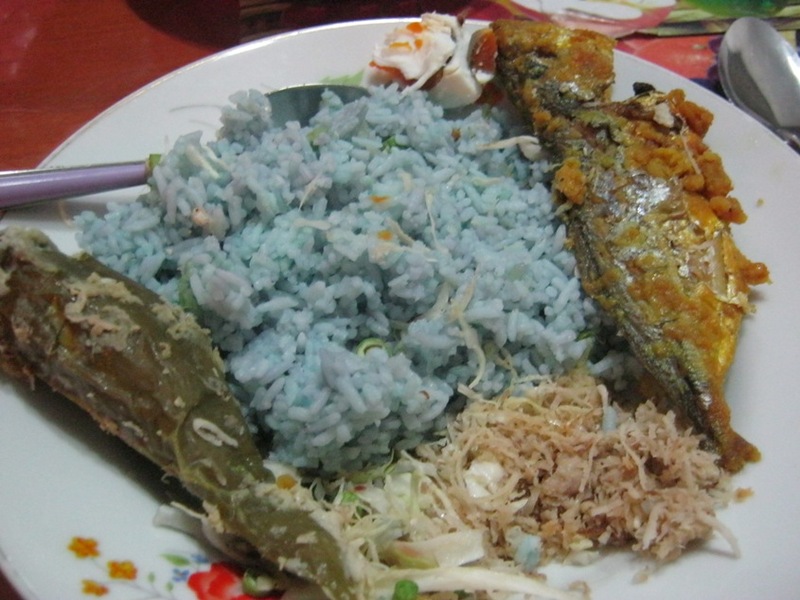 Kerabu is a type of flower, it is the main recipe in making the rice blue. 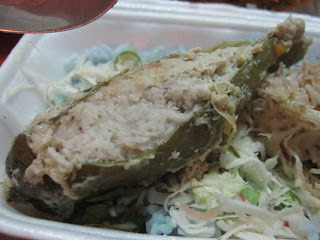 This is Nasi Kerabu that my SIL bought. 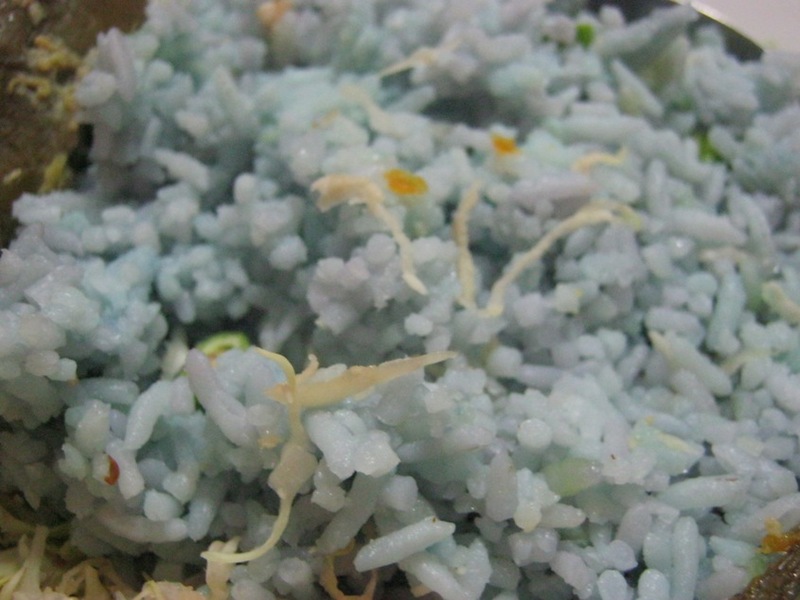 The colour of the rice in blue looks strange to my girls that they wouldn't want to try it. I polished up the whole serving by myself at dinner. 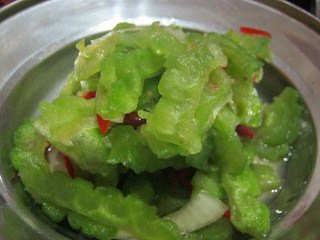 together with Bitter gourd, one of my favourite dish my the stall.